A coloured pattern of knit fabric with motives of Nordic countries. 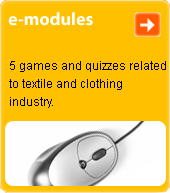 The knit fabric may be hand-made on knitting needles or machine-made. In both techniques there are loose strands of yarn carried on the wrong side, thus the fabric is fortified and its thermal insulation properties are improved.